PhotoScissors is an easy background removal tool with minimum efforts! PhotoScissors 3.0 was available as a giveaway on November 2, 2016! How would you improve PhotoScissors 3.0? Be able to save the file as a project. Hello - I downloaded Photo Scissors yesterday but did not get a serial /registration number; therefore, it is not functioning. I clicked on activate.exe but that didn't help. How do I get the necessary registration number so I can try this program. Gets activated on the admin account, but is NOT when switched to local user account on Win10. Software is installed via local account. Still the same when reinstalling & activating on the admin account. For those who keep saying the program is not registered. If you are running under a user account that is not the admin account you will need to log into the admin account and temporarily change that non admin user account to an administrator account. Now log back into that account and run the activate.exe program again. Your program will now be registered when using the non administrator account. Make sure you change the account back to a non administrator account once you have registered PhotoScissors. This has to be done before this giveaway is over or you will only be able to use the program with it being registered by running it as the administrator. For those who keep saying the program is not registered. If you are running under a user account that is not the admin account you will need to log into the admin account and temporarily change that non admin user account to an administrator account. Now log back into that account and run the activate.exe program again. Your program will now be registered when using the non administrator account. Make sure you change the account back to a non administrator account once you have registered PhotoScissors. This has to be done before this giveaway is over or you will only be able to use the program with it being registered by running it as the administrator. Everyone, remember that with giveaways that use activate.exe if you are running on a limited account (no admin privileges) as many do, then you must run the giveaway as administrator. It ONLY activates on the admin account. I have given up on the giveaway team ever doing something about this despite the fact that running on a limited account is standard practice for security purposes and has been for the last few versions of Windows. Some images work better than others. 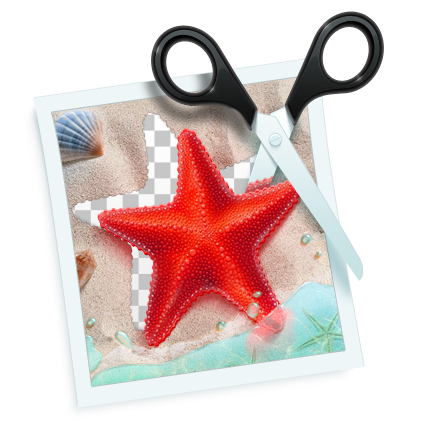 Photoscissors 3.0 is very simple to use and quite fast. I installed it, figured out how to use the program, checked out all the options, and used it to clip out part of five different pictures, all in about 10 minutes. When it works it's astonishing, when it doesn't, well, it's still faster to fix a few areas than to painstakingly select all the details in another paint program. I think (based on screen shots) the CutOut 5 program sold by Ashampoo would do a better job on fine details like hair or leaves, but don't know how easy or fast that program is. Teorex has made another very useful tool, thanks! Mr.Dave forgot to mention that he's using Vista on an 8-year old PC (it was pretty high-end when he got it! ), with Avast! antivirus, and by following the ReadMe.txt file, it installed and registered first try. If you're having trouble, be sure to unzip (extract) all the files to in the download to a new folder. I use 7-zip. Putting them in a new folder keeps them together, makes it easier to delete them all after installation. I didn't copy Activate to any other folder, don't even have Photoshop, just followed the instructions. Ran setup, exited without running the program (if you run it, just close it). Ran the Activate.exe program. When that finished I had a good install! Mr.Dave forgot to mention that he's using Vista on an 8-year old PC (it was pretty high-end when he got it! ), with Avast! antivirus, and by following the ReadMe.txt file, it installed and registered first try. If you're having trouble, be sure to unzip (extract) all the files to in the download to a new folder. I use 7-zip. Putting them in a new folder keeps them together, makes it easier to delete them all after installation. I didn't copy Activate to any other folder, don't even have Photoshop, just followed the instructions. Ran setup, exited without running the program (if you run it, just close it). Ran the Activate.exe program. When that finished I had a good install! For those of you having problems getting this registered - you are probably logged in as a standard user, right-clicking the executable, and selecting "run as administrator." Running the install.exe as an administrator works fine to install the program. But running Activate.exe as Administrator will not activate the program. What you need to do is change your standard account to an administrator account, THEN run Activate.exe. Once it has run, change your account back to standard user, and you should now be registered. For those of you having problems getting this registered - you are probably logged in as a standard user, right-clicking the executable, and selecting "run as administrator." Running the install.exe as an administrator works fine to install the program. But running Activate.exe as Administrator will not activate the program. What you need to do is change your standard account to an administrator account, <i>THEN </i>run Activate.exe. Once it has run, change your account back to standard user, and you should now be registered. Have an image in which the background and the foreground are almost the same colour where they overlap. Have not found any program that could separate the two in a satisfactory manner, that is until I used today's program. It took 5 min to separate the two with this program; it is by far the best program of its type I have found. Just wish it would run in XP. Have an image in which the background and the foreground are almost the same colour where they overlap. Have not found any program that could separate the two in a satisfactory manner, that is until I used today's program. It took 5 min to separate the two with this program; it is by far the best program of its type I have found. Just wish it would run in XP. PhotoScissors 3.0 is a great freehand cropping solution. It is easy to get a smooth crop without having plot a lot of little points. I had version 2 and am glad to see version 3 which installed and activated easily. I've been using version #2 since the last giveaway and I think it is great. I never have any problems with it. It does a great job. If version #3 is better then I will try it. Now I just have to wonder if it will install over ver:2. I've been using version #2 since the last giveaway and I think it is great. I never have any problems with it. It does a great job. If version #3 is better then I will try it. Now I just have to wonder if it will install over ver:2. Install ok Windows 10 Pro x 64. Nice, fairly fast just bit lag if large file & full screen. One 'quirk'. If, like me, you sometimes make changes & save file. Then decide hey I want to delete that file. Use Open, go in and delete the file, cancel Open. Now back at those 2 side by side before/after images. Now if exit, program won't warn about Saving as does normally. I even tried making a change or two to that prior changed image (but still on screen) and no warning, just exits. Seems once a saved file is gone, it's gone to the program so make sure to 're-save' before exiting in this kind of case. Otherwise just take a few minutes to grasp the program methods. Thanks GOTD. Install ok Windows 10 Pro x 64. Nice, fairly fast just bit lag if large file & full screen. One 'quirk'. If, like me, you sometimes make changes & save file. Then decide hey I want to delete that file. Use Open, go in and delete the file, cancel Open. Now back at those 2 side by side before/after images. Now if exit, program won't warn about Saving as does normally. I even tried making a change or two to that prior changed image (but still on screen) and no warning, just exits. Seems once a saved file is gone, it's gone to the program so make sure to 're-save' before exiting in this kind of case. Otherwise just take a few minutes to grasp the program methods. Thanks GOTD. Now... if you have version 2, as I did, and are wondering if it is worth updating to version 3.... Do it! Ver 2, granted, is faster but this current version 3 is so much better in terms of quality of the final image. Way, way better... the extra few seconds wait processing is well worth it. I tested the same picture on both versions, and the difference is just so obvious, side by side. If you read the readme file and follow the instructions to the letter, installation works perfectly. (Mine, Win 7 x64) Now... if you have version 2, as I did, and are wondering if it is worth updating to version 3.... Do it! Ver 2, granted, is faster but this current version 3 is so much better in terms of quality of the final image. Way, way better... the extra few seconds wait processing is well worth it. I tested the same picture on both versions, and the difference is just so obvious, side by side. Downloaded, installed and activated with no problems by following the "read me" instructions. I like it. Simple, quick and tolerably accurate. Accuracy can be improved as you work a little more on the image and shows live update of your changes. Downloaded, installed and activated with no problems by following the "read me" instructions. I like it. Simple, quick and tolerably accurate. Accuracy can be improved as you work a little more on the image and shows live update of your changes. Unfortunately, it will not install in XP, a great shame as when tested in Windows 7 it was first rate. The test was on an image that would have taken forever to separate the background and foreground. All it took was two strokes of the mouse and it was separated. On the right image it works extremely well. It looks like it uses functions available in Vista and upwards, hence it cannot work in XP. There seems some confusion regarding the Activate program, normally this puts something into the registry so the program becomes registered. The program does NOT need to be closed for the Activate program to be successful. The simplest way to install it is to run the Setup program but do NOT let it finish, now run the Activate program, now let the Setup complete and it will open as registered. Unfortunately, it will not install in XP, a great shame as when tested in Windows 7 it was first rate. The test was on an image that would have taken forever to separate the background and foreground. All it took was two strokes of the mouse and it was separated. On the right image it works extremely well. It looks like it uses functions available in Vista and upwards, hence it cannot work in XP. There seems some confusion regarding the Activate program, normally this puts something into the registry so the program becomes registered. The program does NOT need to be closed for the Activate program to be successful. The simplest way to install it is to run the Setup program but do NOT let it finish, now run the Activate program, now let the Setup complete and it will open as registered. I click set up after download. After install, I then extract the package which includes Activate and Activate.gcd into the install folder. I then run activate from the extracted install folder. I also seem to have to do this with inpaint too. product activates with no issues. If I try running activate from another file directory other than install directory, it fails to activate. I click set up after download. After install, I then extract the package which includes Activate and Activate.gcd into the install folder. I then run activate from the extracted install folder. I also seem to have to do this with inpaint too. product activates with no issues. If I try running activate from another file directory other than install directory, it fails to activate. Won't activate after downloaded and installed? JIm, see that READ ME file? Read it. Gee, I'm pretty sure I actually read and followed the instructions in the Readme file. Help me out here, please. I extracted, as admin, the download to it's own folder. it opened a web page saying it was activated. I opened the program clicked on help and it continues to instruct me to enter the activation code. Without an activation code I cannot save. I did this several times, with and without Kaspersky running (in the past that has been an issue). Cannot get a code. So sad. Gee, I'm pretty sure I actually read and followed the instructions in the Readme file. Help me out here, please. Step-by-step, here is what I did: I extracted, as admin, the download to it's own folder. Inside that folder I ran as admin, Setup.exe Then, from the same folder I ran as admin, Activate.exe it opened a web page saying it was activated. I opened the program clicked on help and it continues to instruct me to enter the activation code. Without an activation code I cannot save. I did this several times, with and without Kaspersky running (in the past that has been an issue). Cannot get a code. So sad. beckie, after you ran as admin, Activate.exe, did you 'finish' by closing the program before opening it again (as admin)? If not, try that. It seems that one has to close each time (after setup & after activate) before then running the program. Good luck. beckie, I had to extract the activate.exe and the activate.gcd file to the program folder where photoscissors is installed. Then click on the activate.exe and it will say it is activated and you won't be asked for a serial key or activation code. Those 2 activate files have to be in the photoscissors folder in your program file. I hope this helps. This program is wonderful. Simple and does precisely what it says it will do. Love it. Thank you GOTD and TeoreX. I am eyeing PhotoStitcher for purchase. Believe it or not; Potential customers still use windows XPsp3. Do you not want these customers? I find no version available on your site for this Windows system. Believe it or not; <b>Potential customers still use windows XPsp3.</b> Do you not want these customers? I find no version available on your site for this Windows system. how is this different from 'Inpaint'? I have been using the paid version for a while, and it is fantastic. I also have Vertus Fluid Mask 3, which cost me $180.00, and I use PhotoScissors more often. It is faster and usually better. The program opened and I closed it. I then clicked on activate.exe. I already have photoscissors 2.0. (Probably had 2.0 after this.) I downloaded this program. The program opened and I closed it. I then clicked on activate.exe. It does not activate. Now what do I do? OK. I extracted the activate.exe and the activate.gcd to the photoshop folder in my program files. I then clicked on the activate.exe file and the activation worked. I forgot that I had to manually extract those 2 files to the folder to get the activation to work. Nancy, OK. I extracted the activate.exe and the activate.gcd to the photoshop folder in my program files. I then clicked on the activate.exe file and the activation worked. I forgot that I had to manually extract those 2 files to the folder to get the activation to work. I installed it, activated it, it's activated msg, got the "it's activated" msg, and tried it. It asked for a serial key before it would function - what's that and where do I get it? Thank you very much GOTD and TeoreX. The program works great, and the help files are very easy to follow. I have been using Inpaint for years - and Photo Scissors 3.0 is yet another wonderful time saver ... and really fun to use. TeoreX makes small programs that have little impact on Windows and mostly focus on their expertise using a newer, somewhat different method of image analysis. In short, they don't always do the job you want, &/or do the job as well as you want, but they can work great, & when they do work the tech they use is a huge time saver. The same tech is used in P/Shop & other image editors, and featured in plug-ins, whereas TeoreX keeps it simple with easy, stand-alone apps. I think many people with more advanced image editing skills gladly add TeoreX apps like PhotoScissors to their tool kit, because occasionally you'll have an image where the tools in something like P/Shop, PaintShop Pro, the GIMP etc. don't quite get it right, & something like this may be just different enough to work. Those who don't get so involved in image editing OTOH very often value TeoreX apps on their own. RE: PhotoScissors itself... Making a selection [or selections] -- frequently referred to as a mask or masks -- is one of the core functions in most every image editor, & very often a part of everyday editing, not to mention necessary for a great many special FX & most all compositing [combining elements from more than one image, e.g. green screen techniques]. PhotoScissors uses TeoreX's tech to approach the task in an unusual manner. It will not always work, or work as well as desired, and you'll often still need your regular editing app to finish the job, but when it works it can be a big time saver. Selection Basics... You make a selection in an image so whatever you do will only effect part(s) of an image, or to copy & paste that selection somewhere else -- the PhotoScissors' site shows it pasted on a transparent background. The border of a selected object is the edge of that object where the color is different than anything in the immediate background. It's complicated by the fact that in a photo [unlike an illustration], those edges are not clear cut, but a mix of both the object & the immediate background -- how much so varies. Many image editing apps have their own special tools to try and make the tedious task of creating a selection or mask less so, but the only tool I've read of pros recommending is Topaz Remask, & then because it can be faster in difficult situations rather than being absolutely necessary. When it can fit into your workflow, I'd personally try PhotoScissors 1st [& I have Remask] -- I mention workflow because there are situations when importing something from PhotoScissors or any other app just won't do, e.g. when you need to be able to later easily modify the steps you've taken along the way from RAW to finished project. Otherwise the internet has a huge number of How-To articles & tutorials on making selections & creating masks, because different methods appeal to different people. A lot of that stuff focuses on P/Shop or the GIMP, but very often it can apply all or in part to most other editing apps, so don't be immediately put off because the title mentions one of those 2. TeoreX makes small programs that have little impact on Windows and mostly focus on their expertise using a newer, somewhat different method of image analysis. In short, they don't always do the job you want, &/or do the job as well as you want, but they can work great, & when they do work the tech they use is a huge time saver. The same tech is used in P/Shop & other image editors, and featured in plug-ins, whereas TeoreX keeps it simple with easy, stand-alone apps. I think many people with more advanced image editing skills gladly add TeoreX apps like PhotoScissors to their tool kit, because occasionally you'll have an image where the tools in something like P/Shop, PaintShop Pro, the GIMP etc. don't quite get it right, & something like this may be just different enough to work. Those who don't get so involved in image editing OTOH very often value TeoreX apps on their own. As far as the tech itself goes, it all started around 2005 I think, with a research paper describing a new way to analyze images. The 1st app to use it AFAIK was Retarget -- the files for the last version before their work was sold are dated 2007. wikipedia[. ]org/wiki/Seam_carving RE: PhotoScissors itself... Making a selection [or selections] -- frequently referred to as a mask or masks -- is one of the core functions in most every image editor, & very often a part of everyday editing, not to mention necessary for a great many special FX & most all compositing [combining elements from more than one image, e.g. green screen techniques]. PhotoScissors uses TeoreX's tech to approach the task in an unusual manner. It will not always work, or work as well as desired, and you'll often still need your regular editing app to finish the job, but when it works it can be a big time saver. Selection Basics... You make a selection in an image so whatever you do will only effect part(s) of an image, or to copy & paste that selection somewhere else -- the PhotoScissors' site shows it pasted on a transparent background. The border of a selected object is the edge of that object where the color is different than anything in the immediate background. It's complicated by the fact that in a photo [unlike an illustration], those edges are not clear cut, but a mix of both the object & the immediate background -- how much so varies. Many image editing apps have their own special tools to try and make the tedious task of creating a selection or mask less so, but the only tool I've read of pros recommending is Topaz Remask, & then because it can be faster in difficult situations rather than being absolutely necessary. When it can fit into your workflow, I'd personally try PhotoScissors 1st [& I have Remask] -- I mention workflow because there are situations when importing something from PhotoScissors or any other app just won't do, e.g. when you need to be able to later easily modify the steps you've taken along the way from RAW to finished project. Otherwise the internet has a huge number of How-To articles & tutorials on making selections & creating masks, because different methods appeal to different people. A lot of that stuff focuses on P/Shop or the GIMP, but very often it can apply all or in part to most other editing apps, so don't be immediately put off because the title mentions one of those 2. This version 3.0 does NOT support XP. When you try to install, a pop up error message appears. Informing that the software does not support the OS that you are using. It then refuses to proceed any further. This version 3.0 does NOT support XP. When you try to install, a pop up error message appears. Informing that the software does not support the OS that you are using. It then refuses to proceed any further. No big loss. june, did you make sure to close the program, before you selected Activate? Installed on Win10. A little different activation than we've had as of late, just make sure you follow the instructions! Program must be closed to run activation program! Very simple and easy program to remove background. Photo quality does seem to make a difference. You may need to do a little cleanup, but with a few quick swipes and you are done. I use Gimp for photo editing as I just can't afford Photoshop at the moment. It's quite a bit more work to remove background so this is a nice shortcut. I do recommend this as a keeper. Been using paintshop pro for years. This will save me bunches of time. Reg fine on Win10 64. Was a new twist selecting all (activate, setup, etc.) to extract, but not a problem at all. Thanks for a useful freebie! The program is very quick. However, I am unable to save the photo. It looks like the "Activate" program did not activate. It gave me a message that the software is now licensed, but it does not allow me to save. The program is very quick. However, I am unable to save the photo. It looks like the "Activate" program did not activate. It gave me a message that the software is now licensed, but it does not allow me to save. Strange thing occurred to me: I tried to start the setup.exe file on my XP Professional SP 3 86x machine and the setup responded that the programme does not support my system, while GAOTD lists XP as a system supported by PhotoScissors? Could the developer explain this problem? Strange thing occurred to me: I tried to start the setup.exe file on my XP Professional SP 3 86x machine and the setup responded that the programme does not support my system, while GAOTD lists XP as a system supported by PhotoScissors? Could the developer explain this problem? It's only on GAOTD that it says XP is supported. Getting so frustrated with the GOTD downloads that require the activate.exe file. Every single time, I get the error message "Failed to connect". I have tried deactivating anti-virus and firewall to no avail. Likewise I have previously messaged GOTD support to no avail. D/L, installed and activated w/o problems other than Activate.exe crashed all my Chrome extensions. Odd but not the end of the world. A restart of Chrome fixed all things. Program in op looks and feels similar to a program of identical function from Topaz Labs. The only difference is you define the boundaries in the Topaz Labs product while this program finds them best it can. A few trials resulted in as expected hit and miss outcomes. These programs, including the various tools of similar utility from Adobe, Cyberlink, Corel and others, work better as you learn to use them so it's unrealistic to expect perfect results first time through. Since I have licenses for both PS CC and the Topaz Labs product, I won't keep this as it's redundant in my case. I do think it's worth the effort to learn to use properly and for many, worth the cost of a true licnese. D/L, installed and activated w/o problems other than Activate.exe crashed all my Chrome extensions. Odd but not the end of the world. A restart of Chrome fixed all things. Program in op looks and feels similar to a program of identical function from Topaz Labs. The only difference is you define the boundaries in the Topaz Labs product while this program finds them best it can. A few trials resulted in as expected hit and miss outcomes. These programs, including the various tools of similar utility from Adobe, Cyberlink, Corel and others, work better as you learn to use them so it's unrealistic to expect perfect results first time through. Since I have licenses for both PS CC and the Topaz Labs product, I won't keep this as it's redundant in my case. I do think it's worth the effort to learn to use properly and for many, worth the cost of a true licnese. I've installed the program, opened it, closed it down, extracted activate.exe to the desktop, run this as the PC administrator but it's having no effect at all. Thanks, that's worked fine. Sorry to be so dim! Ootje, Thanks, that's worked fine. Sorry to be so dim! Piers, I am having the same problem. Activate.exe goes through the install step but the program has not registered. After today it will not work. Did you close the program "PhotoScissors 3.0" completly, before you start Activate? Evelyn, Did you close the program "PhotoScissors 3.0" completly, before you start Activate? I can do much better and a lot easier in Photoshop and other programs I use for all my graphic and picture editing. Willbur, This prog works like rotoscoping in After Effects but for one frame which is photo. Following your instruction, I have tried saying, "Goodbye", "Goodbye to the background" and "Goodbye to the background and save". None of these works. Would you kindly let me know whether there is a button I can press as an alternative method of removing the background? If you would try to see things a little from the perspective of your users, instead of trying to sound clever, it might help. Works really nicely, I actually bought CutOut 5 Pro recently and so far I greatly prefer this. It would have been nice if you could save the work-in-progress though, so you could go back and tweak something later (or add/remove things). JohnL, Should have said, usage is simple, you mark areas to include/exclude roughly and it chooses the best point to make the cut-out between them. You can then erase partial areas of those markers plus zoom in for finer work if it didn't pick the join you wanted. Showing a real-time preview of the output as you go is very useful. I don't seem to be able to download and install this program. I put it on Facebook as required, but after that nothing. Even in .PNG I get a white boarder around the image. What am I doing wrong? Even in .PNG I get a white boarder around the image. Mr Pasit, Did you check out the Tutorials on their Home Page to see if there is anything there to help with your problem?? Mr Pasit, from their tutorials page "Images with transparent background must be saved as PNG file. Only PNG file format supports transparency." Make the background magenta, then in PPT you can make magenta transparent. Worked for me. Thanks again for the help. Thank you for the advice, but none of was useful, however, if anyone else has the same problem ... Make the background magenta, then in PPT you can make magenta transparent. Worked for me. Thanks again for the help. Evgeny , The tutorial is incorrect. Other file formats that support transparent backgrounds are 16 bit TGA, TIFF, and PSD. Smooth installation, easy to use. I will keep it. Thanks. Installation was very smooth. Photoscissors is a small application with a relatively straightforward interface that novices and professionals alike will quickly understand and be able to use. I was amazed at how easy it was to separate the background - and no fussing around with the odd rogue pixels - a clear and precise extraction! Thank you GOTD and developer. WinXP not supporting, rechecked at HomePage in Windows 7x64 ok, worked with old version nice software keeper for those who love experiments. A Russian company almost offer their all software at GOTD. top programme. works a treat and you get a chance to tidy it up. This a simple app for removing background, just mark the background then mark the foreground and that's it.